We invite you to join us in our Facebook group "Les amis de l'Oustaou"
Request of Information online, we answer quickly ! Welcome in the holiday village Oustaou of Luberon ! The Oustaou of Luberon is thought for the comfort, the family and the peace of mind of his hosts. Nested in the Vaucluse's department, the Luberon is the evocation of Provence, by the beauty of his contrasted landscapes. 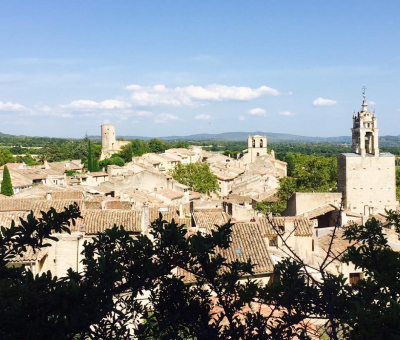 The Luberon hosts some of the most beautiful villages of Provence : Lourmarin, Ansouis, Gordes and Roussillon classified among the most beautiful villages of France. See everything in Provence ! Look closely... at the crossroad of Vaucluse, Bouches du Rhône, Var and the Alps of High-Provence...it is exactly here, that is situated the Oustaou of Luberon. We propose you several rentals of tourism, which offer a big comfort in a quiet space.